We’re thankful for your stories! Last month we reached out to our donors, friends, nonprofits, scholarship recipients, and the community at large asking for you to share with us your stories that help us highlight the impact that we’ve had in the community over the last 65 years. We were pleasantly surprised by the number of stories that you shared! In an effort to recognize our sapphire anniversary, and to reflect on the loyalty of our donors who entrust us to help carry out their charitable goals and the prosperity that their generosity makes possible right here within our communities in Northeastern Pennsylvania, we’d like to share with you one of the many inspiring stories we received and announce our first 65th Anniversary Mini-Grant. 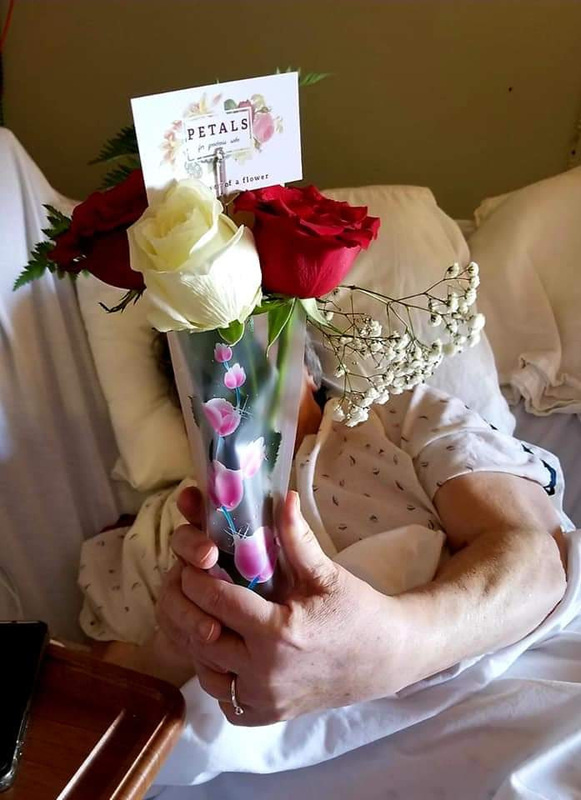 This story comes from our friends at Petals For Goodness Sake, an all-volunteer, nonprofit, green organization in Lackawanna County with the sole mission of spreading joy, beauty and hope to the elderly and critically ill through repurposing donated flowers. Volunteers pick up flowers from newlyweds, bar and bat mitzvahs, special events, memorial service providers, floral vendors, and outright donors–flowers which would otherwise be discarded. The flowers are then repurposed by volunteers who redesign the larger compositions into individual floral arrangements and distribute them to nursing homes, hospice units, and senior living centers. Today they have more than 45 volunteers who have donated over 20,000 service hours and have distributed more than 14,000 bouquets to area hospice units, nursing homes, and soup kitchens. 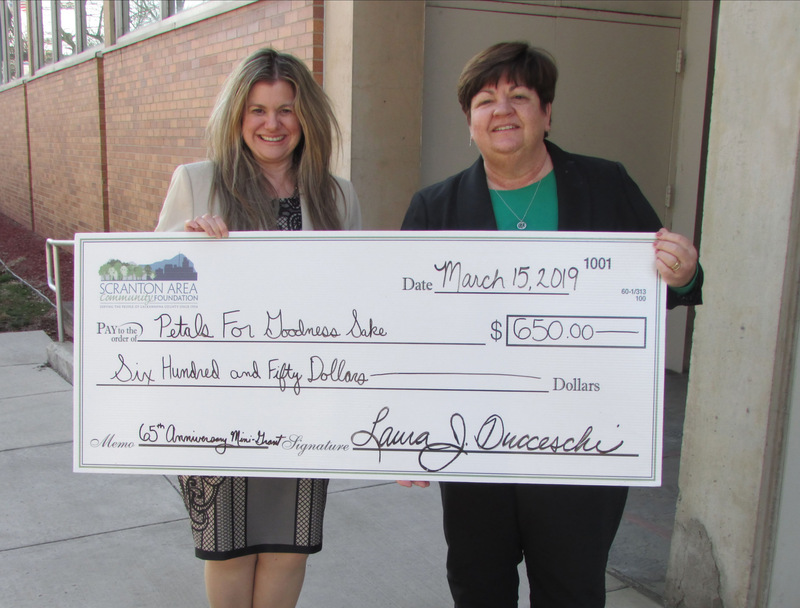 “Every story has a beginning, and a grant from the Scranton Area Community Foundation fostered ours,” says Beth Perry of Petals For Goodness Sake. We are thankful to hear from our friends at Petals For Goodness Sake and, in order to show our appreciation we’d like to award them the first of the Scranton Area Community Foundation’s 65th Anniversary Mini-Grant. We’d like to recognize that our work at the Foundation would not be possible if it weren’t for the generosity of our many charitable donors. During our sapphire anniversary year, we’d like to call attention to the loyalty of our donors who make our work possible. Thank you, Petals For Goodness Sake, for sharing your story and, especially, for reminding us that when we work together, we can create a stronger, kinder, more livable region. 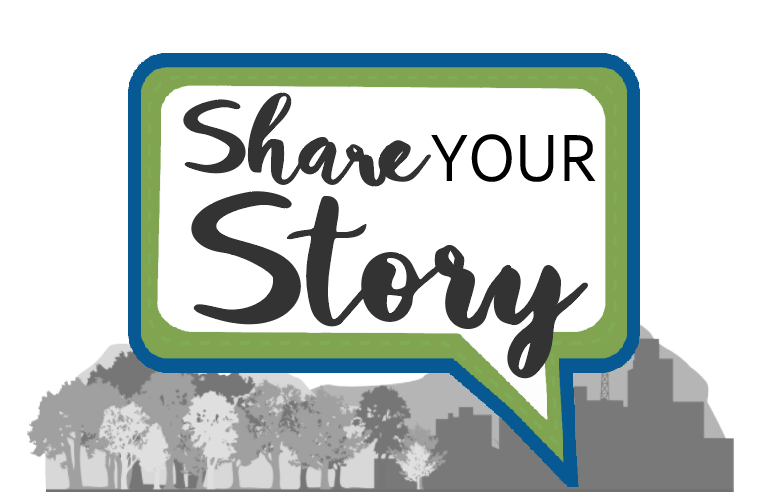 If you’d like to SHARE YOUR STORY with us, there is still time! Simply fill out our form online: SHARE YOUR STORY. 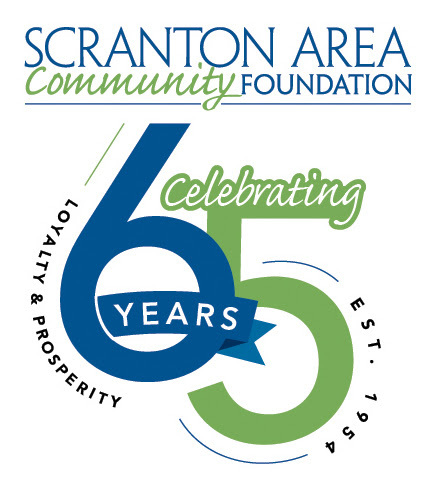 Up to $10,000 will be awarded through the 65th-anniversary mini-grants opportunity, funded by the Scranton Area Community Foundation.